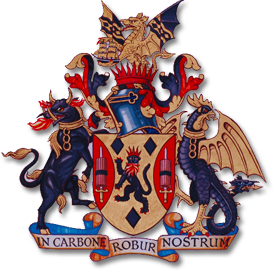 City University, with financial support from the Worshipful Company of Fuellers, will be offering two annual prizes for the best dissertation projects in the MSc in Energy and Environmental Technology and Economics. The top prize of £2000 will be awarded to the best project selected by a panel and £1000 will be awarded to the runner up. The prizes are in recognition by the Fuellers of the high quality of our programme and the distinct role it plays in preparing professionals for the energy professions. The Fuellers Charitable Trust Fund, financed by donations from members, will provide these prizes. Prize winners will also be offered an opportunity to join the Fuellers. The MSc project topics are usually proposed by the students and refined through discussion with supervisors with experience in the proposed areas. Projects should address aspects of energy in the UK at micro or macro scale and will typically be concerned with one or more of the key aspects of technology, environment, economics, policy and regulatory framework or societal impact. The projects should include a substantial element of analysis, interpretation and innovation and should be written and presented to a high standard to qualify for the prize. A panel from the programme team and representatives from the Fuellers will take part in the selection process of the short list of projects nominated for the prize. Final selection will be made following presentations by the candidates including a questions and answers session and the prizes will be awarded in a ceremony in September 2019. Part-time students can be considered for the prize. As their dissertations are usually submitted in December, they will be entered in the next available selection process for the award in 2020.